This article is part of our special report Resource efficiency: towards a circular economy. Central Europe's relatively low rates of recycling represent an untapped potential with easy gains, said participants at a Steel Packaging Summit in Košice. EURACTIV Slovakia reports. On 21 September 2011, representatives of the steel industry, consumers and national and local government met at a conference held in Košice, Slovakia on 'Steel Packaging: Green Solutions in Central Europe'. Its purpose was to highlight steel packaging's potential to contribute to sustainability and environmental protection. It was the first time this kind of event has been organised in Central Europe. Many attending experts and representatives of metallurgical companies stressed that products made of steel can be recycled infinitely. As a magnetic material, steel is easy to separate from other waste and has no effect on foods' or beverages' quality or taste, they underlined. Recycling rates for steel packaging in Central European countries remain relatively low. In 2009 Slovakia achieved exactly the EU average with 72%. The recycling rate for Hungary was 70%, for Poland 48% and for the Czech Republic 47%. US Steel Košice President David J. Rintoul said: "Production, consumption and recycling of steel packaging constitute a big potential for the whole region, the business sector and environmental protection." Among all European states the top ranks for steel packaging recycling are held by Belgium (98%), Germany (92%) and the Netherlands (87%). According to Philip Buisseret, Managing Director of the Association of European Producers of Steel for Packaging (APEAL), steel is currently the most recycled packaging material. 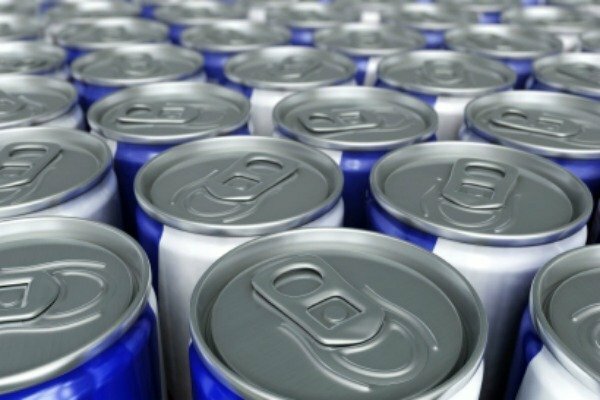 In 2009 the rate for steel packaging in the EU was 72%, while for other packaging materials the rates were considerably lower: 67% for glass, 64% for aluminium beverage cans, 34% for beverage carton and 30% for plastics. In its 2004 directive on packaging, the European Union sets a target of 50% for the recycling of metals. APEAL's objective for 2020 is to achieve an 80% recycling rate of steel packaging in the EU. The organisation also aims to have no steel packaging dumped in landfills by that date. During discussion panellists agreed that although setting targets at the EU level and passing necessary legislation are important, the motivation of citizens themselves to return metal scrap back to the production cycle is even more vital. John Clinton of Metal Packaging Europe said: "It shouldn't take legislation. If it takes legislation I think we have kind of failed. We should succeed through education, through creating motivation … If we don't get the consumer to be responsible with his litter and understand its value, legislation isn't going to do that." the Thematic Strategy on the Prevention and Recycling of Waste (2005), which aims to help Europe become a recycling society that seeks to avoid waste and uses waste as a resource. In addition, the bloc's recently revised Waste Framework Directive (WFD) introduces a 'waste hierarchy' and a new approach to waste management, especially focusing on prevention.